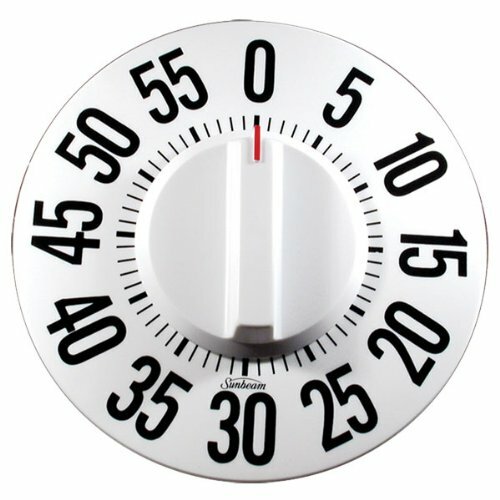 Tactile Low Vision Timer-White Dial, Black Numbers - This tactile low vision timer features raised tactile numbers, as well as large, bold black print. This low vision 60-minute mechanical timer is great for indoor and outdoor use. Ideal for the visually impaired.